Our Houdini-Proof Curved Arm Dog Containment System for climbing and all-around escape artist dogs. A specially designed curved fence extension stops dogs from escaping. 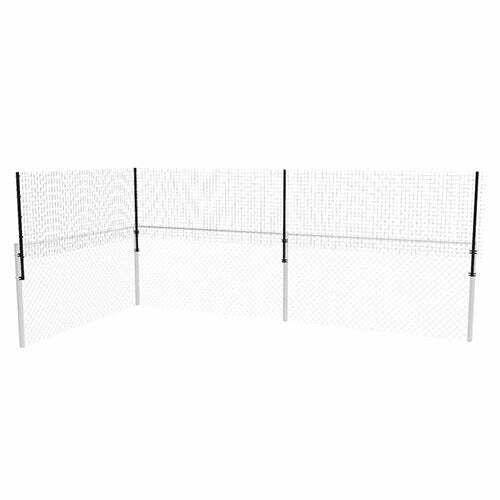 Our Straight Arm Containment System raises the height of existing fence up to 3 feet. 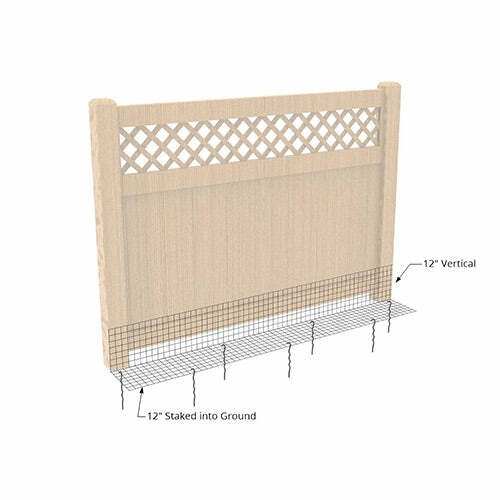 It features vertical posts that extend the height of your existing fence to deter jumping. Our Dig Proofer System stops dogs and other animals from digging under your fencing. 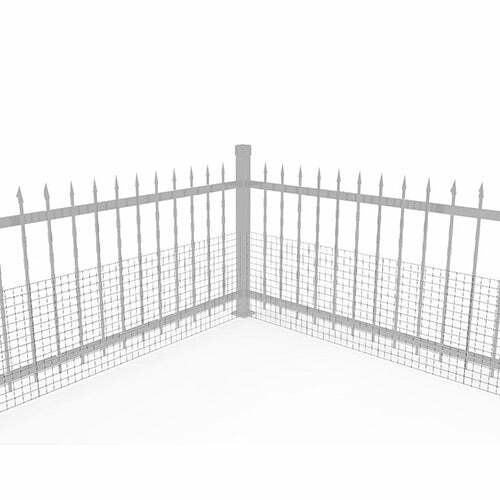 Galvanized / coated welded wire and heavy metal stakes create a dig proof barrier around the base of your fencing. 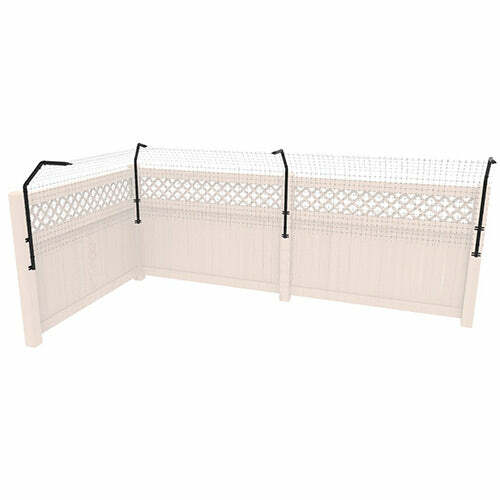 Our Wide Gap Fence System stop smaller dogs from escaping through gaps in fencing. Our system uses galvanized and coated welded wire to prevent dogs slipping through openings in the fence. Dog Proofer is a collection of innovative and humane solutions to keep your dog(s) safe and happy outside. Our focus is modifying your existing fencing to make it more secure for dogs. With more than 50,000 pets protected worldwide, you can fully rely on our expertise. If your dog is jumping or climbing over your fence, digging under it, or going through it, we can help. The Patented Dog Proofer systems are a one of a kind purpose-built solution to keep your pets safely inside your fence enclosure outdoors. Our fence extension and digging solutions are built from materials that are made to last. Dog Proofer systems adapt traditional fencing that fails to contain your pet into an enclosure that can give you full peace of mind. Wood, Vinyl (PVC), Metal, Chain Link, Brick, Block or nearly any other material can be adapted to keep your dog safely in your yard. We offer only the most durable components that are purpose built to install easily and last for years to come. We make it easy to get answers, installation help, or to place an order. Connect with us by phone, email, or live chat.